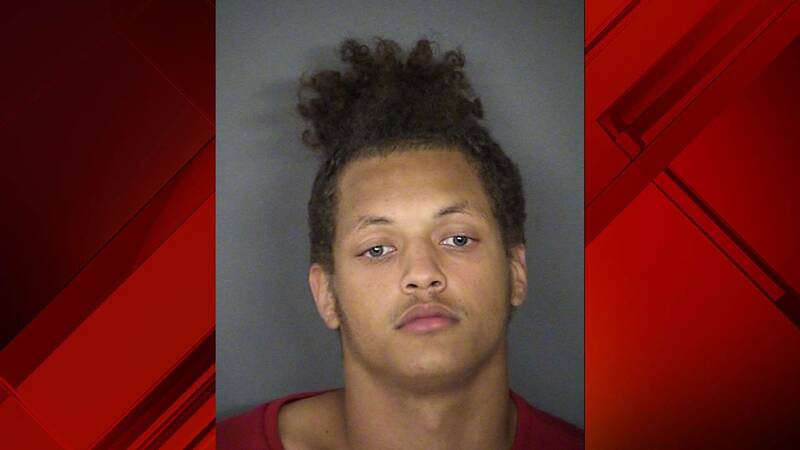 SAN ANTONIO - San Antonio police arrested a 21-year-old man who detectives said was on the run for nearly a month after shooting and killing a man inside a West Side apartment over money. The man is identified as Truth Jones, who is now being charged with murder. A detective with the San Antonio Police Department said in an arrest affidavit that officers were called to an apartment complex IN the 400 block of Tulipan Walk Street around 5:43 a.m. on July 26 for a shooting. At the scene, a woman told officers that Jones came into her bedroom holding a black firearm and demanded money from the victim, who is identified in the affidavit as 32-year-old Byron McBride. When McBride told Jones he didn't have any money, the woman told officers that Jones "fired a shot in the direction of a child" who was inside the apartment, according to the affidavit. Jones then fired multiple shots at McBride before beating him in the living room, where McBride collapsed, the affidavit said. Along with his murder charge, Jones was also accused of stabbing two people at an apartment complex in July 2016. A judge has remanded Jones' bond.